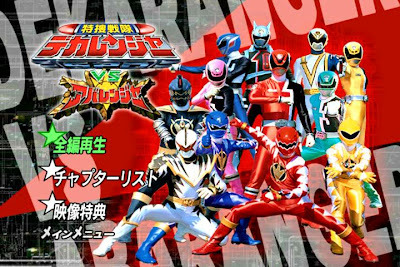 MCS Releases Dekaranger vs Abaranger! Just recently, Dekaranger vs. Abaranger has been released by Midnight Crew Subs! Originally not planned by Midnight Crew Subs to release, but they decided to release it due to some problems with the first subbed version which were available for download. Wasn't planning on since it had already been done by TV-N. But then I downloaded their version and watched a couple of minutes. I noticed that they've translated things incorrectly, I simply assumed that they've done it through the whole thing and decided to translate it.